No kidding. “Tragic” doesn’t even begin to describe the horrors that would flow from such a conflict. The Korean peninsula, all 85,270 square miles of it, is about the size of Idaho. It contains more soldiers and arms — 2.8 million troops, not counting reserves, plus nearly 6,000 tanks, 31,000 artillery pieces and 1,134 combat aircraft — than any other place on the planet. The armies of North and South Korea face each other across the Demilitarized Zone, or DMZ. And Seoul, South Korea’s capital, is a mere 35 miles away as the artillery shell flies. 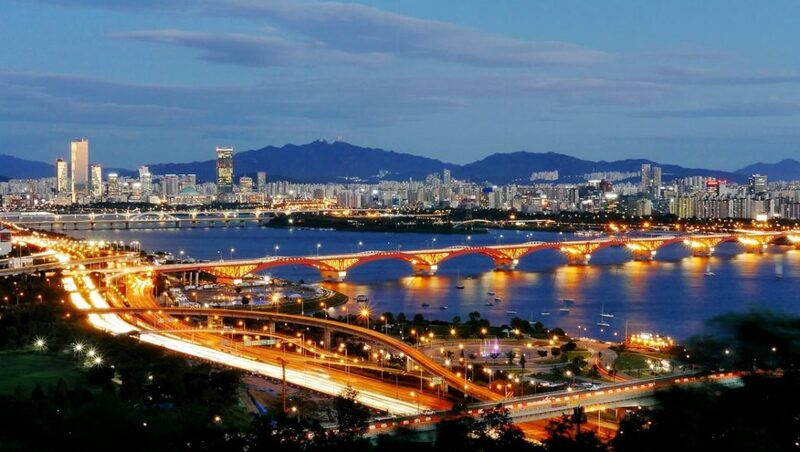 More than 25 million people inhabit that city’s greater metropolitan area, home to about half of South Korea’s population. 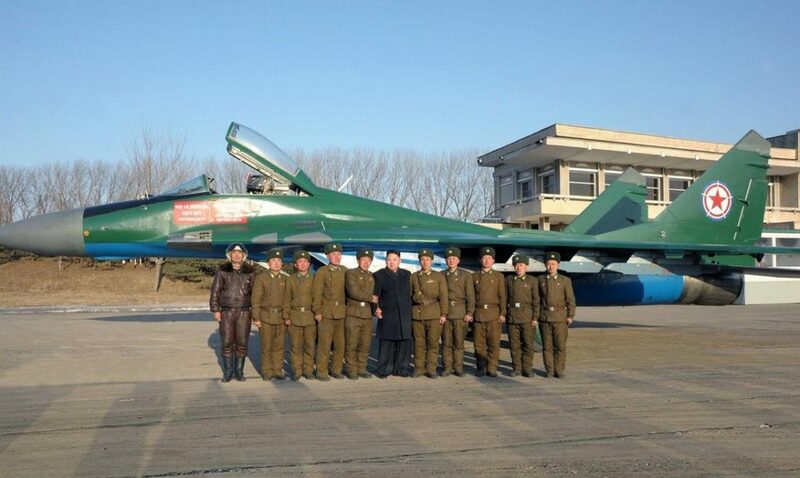 Unsurprisingly, untold numbers of North Korean missiles and artillery pieces are trained on that city. Once the guns started firing, thousands of its denizens would undoubtedly die within hours. 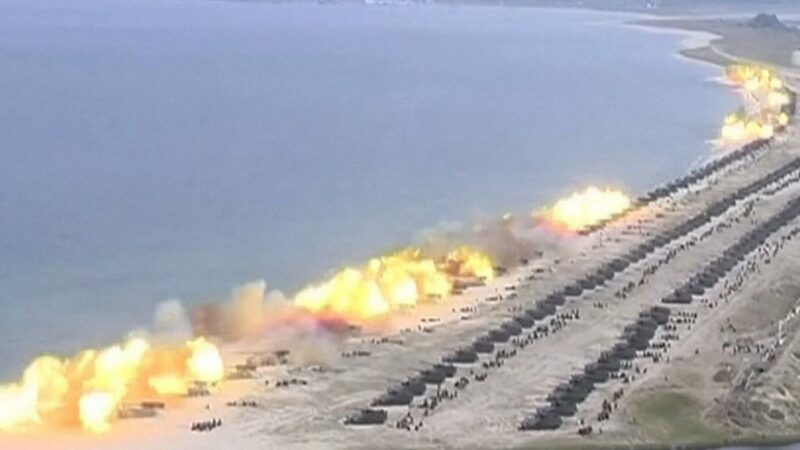 Of course, North Koreans, too, would be caught in an almost instant maelstrom of death. And the war wouldn’t be a bilateral affair. South Korea hosts 28,500 American troops. 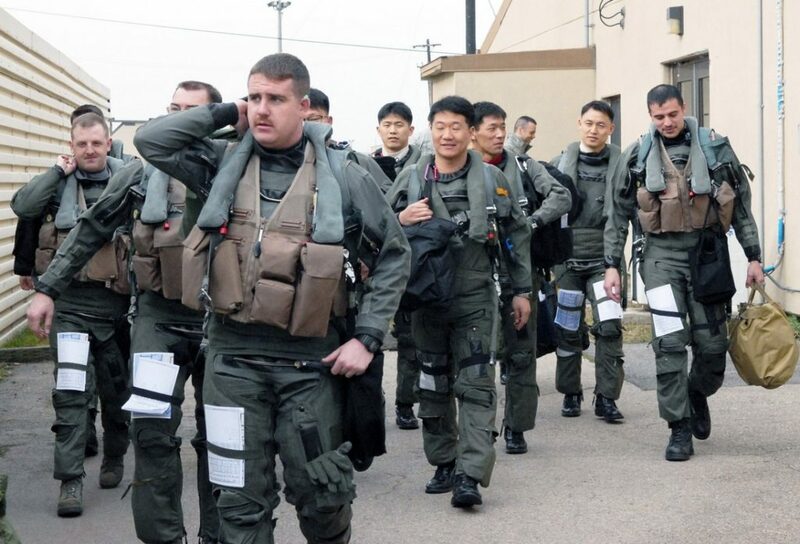 In addition, there are some 200,000 American civilians in the country, most of them in Seoul. Many in both categories could be killed by North Korean attacks and the United States would, in turn, hit multiple targets in that country. 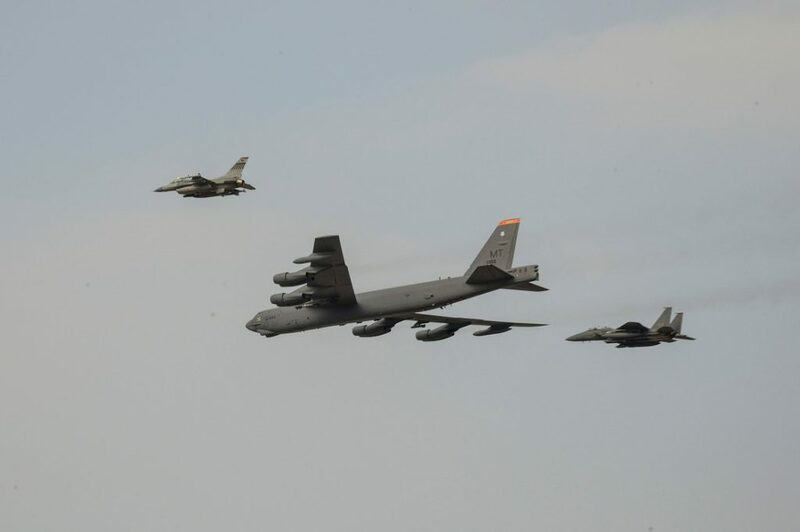 Pyongyang might retaliate by firing missiles at Japan, where 39,000 American troops are stationed, concentrating on the network of American bases and command centers there, especially the U.S. Services Headquarters at Yokota Air Base near Tokyo. And that’s without even considering the possible use of nuclear weapons. If anything, Mattis’s description is an understatement. And don’t assume that the danger of a Korean conflagration has passed now that Pres. Donald Trump has become trapped in the latest set of political scandals to plague his administration. Quite the opposite — a clash between North Korea and the United States might have become more probable precisely because the president is politically besieged. Such moves all involve the same presidential bet — that economic and military pressure can bend Pyongyang to his will. Other American presidents have, of course, taken the same approach and failed for decades now, which seems to matter little to Trump, even though he presents himself as a break-the-mold maverick ready to negotiate unprecedented deals with foreign leaders. By now, this much ought to be clear, even to Trump. North Korea hasn’t been cowed into compliance by Washington’s warnings and military muscle flexing. In 2003, after multilateral diplomatic efforts to denuclearize North Korea ran aground, Pyongyang ditched the Nuclear Non-Proliferation Treaty and two years later declared that it possessed nuclear weapons. In October 2006, it detonated its first nuclear device, a one-kiloton bomb. Four other tests followed in May 2009, February 2013, January 2016 and September 2016, ranging in explosive yield from four to 10 kilotons. Three of them occurred after the current North Korean leader, Kim Jong-un, came to power in April 2012. Trump’s national security adviser, Gen. H.R. McMaster, characterized Kim as “unpredictable.” In reality, the Korean leader, like his father and grandfather before him, has been remarkably consistent. He has steadfastly refused to stop testing either nuclear weapons or their possible delivery systems, let alone “denuclearize” the Korean peninsula, as McMaster demanded. He followed up by warning Chinese president Xi Jinping, whom he was then hosting at his Mar-a-Lago estate, that if China wouldn’t rein in Kim, the United States would act alone. Not long after, Trump suddenly praised Kim, calling him a “pretty smart cookie,” presumably impressed that the North Korean leader wasn’t even 30 years old when he succeeded his father. The roller-coaster ride otherwise known as the presidency of Trump has many people perplexed. Trump’s boosters believe that the president’s unpredictability gives him leverage against adversaries. But in the event of a military crisis on the Korean peninsula, Trump’s pendulum-like behavior could lead North Korea’s leaders to conclude that they had best prepare for the worst — and so strike first. That prospect makes the Kim-Trump combination not just dangerous but quite possibly deadly. Given the failure of both sanctions and saber rattling, however, a new approach would have to involve diplomacy — in case you’ve forgotten that word — and serious negotiations with the North. Here’s one possible way to go that might, in fact, make a difference. North Korea would agree, in principle, to dismantle its nuclear weapons installations, rejoin the NPT, and allow comprehensive inspections by the International Atomic Energy Agency to verify its compliance. Concurrently, the United States would pledge not to attack North Korea or topple its regime and to move toward normalization of political relations. The United States, South Korea, China, Japan, and Russia would undertake to fund and, for some of its future energy needs, build new Light-Water Reactors, which reduce the risk of bomb-grade plutonium production. These would be subject to regular inspections and electronic surveillance by the IAEA and all spent fuel would be transported out of North Korea. The dismantling of the North’s nuclear facilities, verified by intermittent inspections and continuous electronic monitoring, would — as in the nuclear deal with Iran — prevent the production of weapons-grade plutonium or uranium. Once these steps were completed, both Koreas would begin to pull back their troops massed along the Demilitarized Zone and so create an even wider region free of weapons and troops between the two countries. They would agree not to reintroduce troops and armaments into the vacated areas and to allow monitoring by international observers. Over perhaps a 10-year span, the two states would commit to additional military pullbacks plus reductions in the number of weapons each possessed, focusing on retiring those most suited to offensive warfare. Typically, proposals like these are dismissed on the grounds that they combine the worst of all worlds — the appeasement of a despotic regime and reckless naïveté. Let’s start with the appeasement charge, the gist of which seems to be that Pyongyang’s cruelties bar diplomatic engagement with it. This claim amounts to sanctimonious puffery and historical amnesia. The United States has, in various forms, supported a vast array of despotic regimes, including Greece during the brutal “regime of the colonels” from 1967 to ’74, Indonesia under Suharto — who presided over the slaughter of half a million people in 1965-1966 — and Iraq under Saddam Hussein during the 1980s, when his government was gassing Kurds and razing their villages. And of course in South Korea there was the U.S.-backed government of Pres. Syngman Rhee, whose security forces killed more than 100,000 people, 30,000 to 60,000 in the infamous 1948 Cheju massacre alone. North Korea’s state, while undeniably repressive, has persisted for more than 60 years and must be part of any plan to reduce the risk of war on the peninsula. Attempting “regime change,” à la Iraq in 2003 or Libya in 2011, would certainly prove disastrous. In comparison, the upheaval and death that followed the ousters of Hussein and Muammar Gaddafi would seem minor and the bloody reverberations of such an event would extend far beyond the peninsula. Counting on China or Russia to squeeze North Korea so that it undertakes far-reaching reforms amounts to wishful thinking. Neither country wants to trigger instability there for fear that the country might collapse, creating mayhem on its borders and releasing a floodtide of refugees that they would have to deal with. In addition, China views the North as a buffer with South Korea, an American ally and a forward base for U.S. military power. From Beijing’s vantage point, if changes in North Korea careened out of control, the eventual result could be a unified Korean state allied with Washington. For the Chinese, the status quo on the peninsula, while anything but ideal, beats such a roll of the dice. Beijing has been willing to impose sanctions on Pyongyang and sees it as mercurial and reckless, but it is not about to strangle it economically. As for the charge of naïveté when it comes to a proposal to begin the partial demilitarization of the peninsula, that’s part and parcel of prevailing Washington orthodoxy, a deep conviction that North Korea will never surrender its nuclear weapons as part of a grand bargain. In fact, progress toward just such a denuclearization was made during Bill Clinton’s presidency, when the sticks were briefly put aside and the carrots brought out. In October 1994, negotiations led to what was called the Agreed Framework. Its details are complicated, so brace yourself for a barebones summary. North Korea agreed to shut down its reactor at Yongbyon, place the plant’s spent fuel in sealed containers for shipment out of the country, stop construction on two larger reactors at Yongbyon and Taechon, remain a party to the NPT and permit the IAEA to inspect its nuclear sites to verify the agreement’s implementation. In exchange, the United States, Japan, and South Korea undertook, through a consortium, to build two light-water reactors suitable for generating electricity but not for producing weapons-grade plutonium and to provide Pyongyang with 500,000 metric tons of heavy fuel oil pending the completion of the reactors. Eventually the Agreed Framework fell apart, a development for which all the parties share blame. North Korea’s ongoing missile tests, while not banned by the deal, bolstered the accord’s critics in Washington. It also faced resistance in both the Senate and the House of Representatives, which in 1994 were, for the first time in four decades, in Republican hands. The Clinton administration proved inept in defending the agreement. Having stopped producing plutonium at Yongbyon, North Korea complained about the delay in building the LWRs. Work on the first reactor didn’t start until August 2002. The South Korean government, stuck with partially funding those plants, was unenthusiastic, too. The Bush administration arrived in office in 2001 ready to shred the Agreed Framework. Soon enough, however, it sought to resurrect a version of that deal during the “Six-Party Talks,” which began in 2003 and included both Koreas, the United States, Russia, China and Japan. Here again the details are labyrinthine, but the basic formula that emerged did indeed resemble the Agreed Framework. North Korea was to receive both those LWRs and economic aid in exchange for freezing and then dismantling its nuclear program. The North Koreans even allowed American and other technical experts to observe it shutting down the Yongbyon reactor. They also provided reams — 18,000 pages to be exact — of documentation on their nuclear program. Most importantly, having frozen plutonium production in 1994, they continued to do so until 2003. There were also threats, theatrics and setbacks aplenty. In the end, the Six-Party Talks failed for reasons similar to those that killed the Agreed Framework. Quarrels over the nature and scope of verification procedures, North Korea’s missile tests and confirmation of reports that it had embarked on efforts to build uranium-based nuclear weapons and U.N. sanctions. Pres. George W. Bush, of course, included that country, along with Iran and Iraq, in what he infamously termed the “axis of evil,” which he called a “grave and growing danger” in his January 2002 State of the Union address. His administration also listed North Korea in the 2002 Nuclear Posture Review as one of the states that might become the target of a preventive strike. This much remains clear. The more Pyongyang suspects that Washington’s real goal is regime change, the less likely it will be to relinquish its nuclear weapons for fear of suffering the fate of Gaddafi, who shut down his nuclear program only to be toppled in what began as a U.S. and NATO humanitarian intervention to protect civilians but morphed quickly into a campaign to take him out. As happened during the Anglo-American terror bombing of Germany and Japan, the distinction between civilians and soldiers, so central to International Humanitarian Law and Just War Theory, was defenestrated. Many Americans know about the bombing of Dresden, Berlin, Hamburg, Hiroshima and Nagasaki and the deliberate targeting of civilians in an attempt to break their morale. But few know what happened to North Korea in the early 1950s. As a result, the usual dismissals of Pyongyang’s apprehension about what the United States might do to a denuclearized country are both callous and foolish. Successful negotiations would mean taking its security concerns seriously, not rejecting them as paranoid demands, especially given that American military power remains so close, that Washington has threatened to attack the North more than once and that the American president only recently boasted to the president of The Philippines — in a conversation leaked online — of the two U.S. nuclear submarines that were evidently somewhere off the North Korean coast at that moment. South Korea has twice the population of the North — 50.6 million to 25.2 million, and South Koreans are better-educated, far better-fed and much healthier. Just look at the data on life expectancy, infant mortality and the amount and quality of calories consumed. The South, then, has far more and better human capital. The gap in economic power is gargantuan. South Korea, an industrial and technological powerhouse, has a $1.5 trillion gross domestic product, the world’s 12th largest. 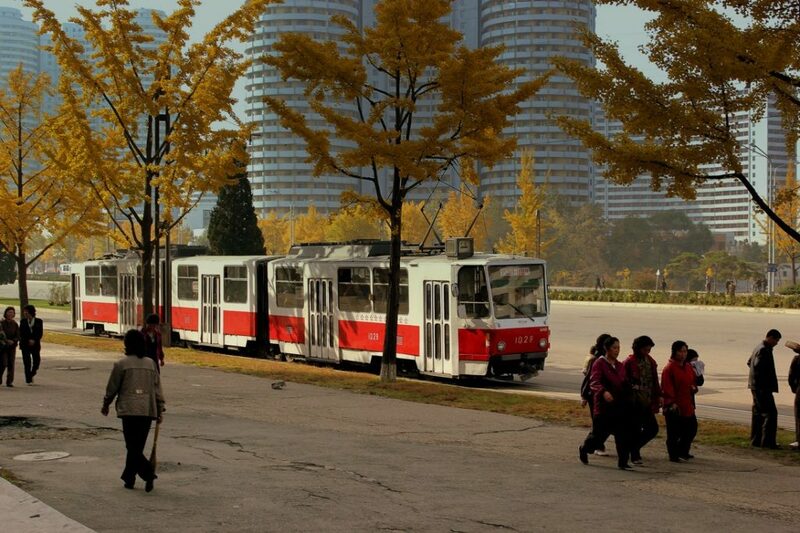 Valued at $30 billion, North Korea’s ranks 115th internationally, barely ahead of Senegal’s. In other words, South Korea’s economy is 50 times larger than the North’s, and its per capita GDP exceeds North Korea’s by a factor of 21. It doesn’t matter whether you’re talking about investments in education and technology or living standards, South Korea inhabits a different universe than the North does. According to the most recent State Department estimate, South Korea spends more than seven times what North Korea does on its armed forces. And given the South’s technological prowess and purchases of American arms, it has a far more modern military than the North, which still uses Soviet and Chinese armor and aircraft developed during the 1950s and 1960s. Then there’s the relative burden of military spending. South Korea allocates 2.6 percent of its GDP to its armed forces, North Korea, 23.3 percent. In other words, South Korea can easily increase military spending without undue hardship. Not so North Korea. Remember this the next time you hear that the North has many more troops, tanks, artillery and submarines. Remember as well that the numerical balance is about even or substantially favors the South in other armaments, such as combat aircraft, frigates and destroyers. Still, the current crisis has no equal. Sitting in the White House is a president whose narcissism knows no bounds, whose ignorance of the world is staggering, who talks blithely about war and nuclear weapons, and who is besieged by political scandals. Meanwhile, North Korea’s ruler, like his predecessors, refuses to be cowed by American shows of force and continues to test ballistic missiles — three in May 2017 alone. A deal resembling the one sketched above may never be reached and, given past history, it won’t be arrived at easily. Yet threats and displays of military power by the United States haven’t worked. Ever. If Trump acts on the assumption that he and “his” generals can make them work and that North Korea will become reasonable only when faced with the certainty of war, there could be a conflagration on the Korean peninsula the likes of which would be almost unimaginable.